If you're looking for custom artwork, sculptural furniture or a show-stopping centrepiece for your superyacht then London-based design firm DKT is the one to call. Priding itself on a site-specific approach, DKT's skilled craftsmen can turn their expert hand to almost any form of decorative work, including mosaic, sculpture and bas-relief in metal, glass and stone, trompe l'oeil, gilding, paint finishes and mirrored artworks, and have undertaken commissions for no fewer than 62 superyachts. Recent projects include custom designs for Ulysses, Joy, Dilbar and Plvs Vltra. Visit dkt.co.uk. If you're looking for custom artwork, sculptural furniture or a show-stopping centrepiece for your superyacht then London-based design firm DKT is the one to call. Priding itself on a site-specific approach, DKT's skilled craftsmen can turn their expert hand to almost any form of decorative work, including mosaic, sculpture and bas-relief in metal, glass and stone, trompe l'oeil, gilding, paint finishes and mirrored artworks, and have undertaken commissions for no fewer than 62 superyachts. 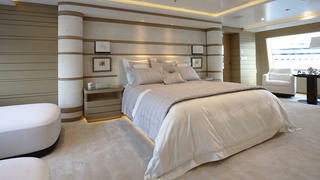 Recent projects include custom designs for Ulysses, Joy, Dilbar and Plvs Vltra. A degree in architecture and a passion for fine art were the foundations of Chicago-based Suzanne Lovell Inc, which comprises a 20-strong team, and has been listed in Architectural Digest’s top-100 interior designers and architects. For more than 30 years, the company has built up an impressive portfolio of luxury residential projects, from superyachts to sprawling penthouses, Manhattan pied-à-terres and whimsical California beach houses. Using a client’s personal taste as a launch pad, each project is undertaken via what Lovell calls the “Three-Dimensional Experience” — an all-round approach encompassing architecture, interior design and fine art, with an understanding that this trio are integral to the process. It’s an approach that echoes the practices of Ferrari and his contemporaries Charles and Ray Eames, Alvar Aalto and Giò Ponti. These giants of design were creative polymaths, often experimenting with art, furniture design, textiles, ceramics and glassware. Many brands claim to provide comfort and functionality, but few strike the balance with such finesse as Loro Piana. Its clothing and accessories are made from the world’s finest raw materials and enhanced by innovative in-house engineering — its revolutionary Storm System treatment, for example, will make even the most lavish of fabrics, such as vicuña wool, 100% waterproof. It’s no surprise, then, that the company is well established in the yachting industry. Loro Piana Yacht Interiors has cleverly adapted to the unpredictable conditions of life at sea without losing an ounce of quality. More than 600 varieties of customisable materials and special blends, including tussah silk woven with wool and horsehair, and fine merino wool blended with linen or silk, are employed in its stylish yet durable wall coverings, cushions, upholstery and light-blocking curtains. Italian style is no stranger to flamboyance so Bottega Veneta’s subtle and discreet Home Collection is perfect for the superyacht owner who prefers a more muted colour palette. 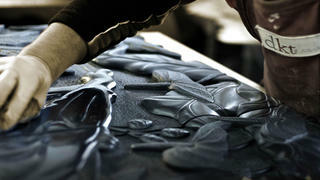 Founded in Vicenza in 1966, Bottega Veneta began producing luxury leather goods in the master craftsman tradition. That approach, rather than trend-driven fashion, has remained the cornerstone of the brand. In 2006, the year it opened a school dedicated to training the next generation of leather artisans, the company launched its Home Collection. Creative director Tomas Maier started it all in 2001, when he began commissioning bespoke furnishings for select retail stores. The pieces soon attracted the attention of discerning clients but, rather than selling them (as was often requested), Maier promised to make the customers their own versions instead. Ten years later the Home Collection is now an integral part of Bottega Veneta. 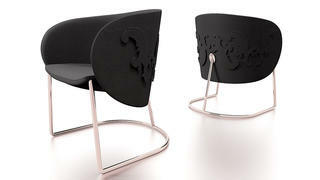 It favours modern, functional pieces that bear the trademark intrecciato leather braiding motif. Each item is elegant enough to work as a standalone accessory or as part of a set, and the look suits an onboard setting just as well as one on dry land. “Veneto is full of artisans and is famous for its furniture, textiles and glassware. It’s very much the fashion here to have everything made by someone local,” explains Allegra Marchiorello. “Every little house in this corner of Italy has its own company in the backyard.” It’s one of the reasons Marchiorello co-founded Once Milano with his long-time friend, linen aficionado Valeria Piovesana Thompson. 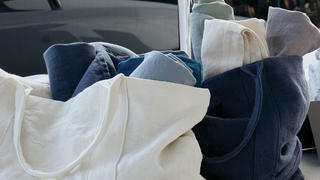 The house’s Italian-made linen is of the highest quality, made from the longest threads, using flax grown near Milan. The weave is the smoothest, strongest and most absorbent money can buy: cooling in the summer months, cocooning in the winter. Designing a collection for boats proved an interesting challenge. “It’s quite different to designing for a home,” says Marchiorello. 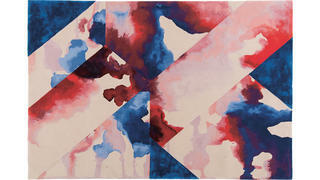 “For starters, the water is such a central element, and the space you’re working with is contained. We wanted to create something that was sophisticated yet highly refined.” The brand’s covetable Piping Collection was born from this collaboration, and Once Milano enjoys a good working relationship with Jonathan Fawcett, one of the UK’s leading luxury supplier to superyachts. 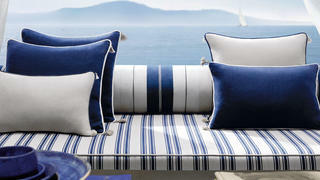 As part of luxury Italian linen house Pratesi’s ambitious five-year plan towards international expansion, it has launched a new range specifically for yachts. The collection of sumptuous bedding, table linens and towels is made to order, with customisation options including bespoke monogramming available. 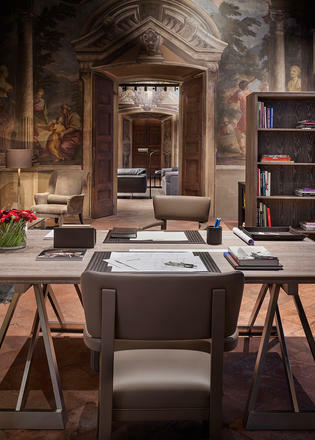 Run by the fourth generation of the Pratesi family, the house is focused on delivering faultless craftsmanship, drawing on the skill of its team of designers, weavers and embroiderers, who create the linen in its Florence headquarters. COO and future CEO Simone Bocchio and president Federica Pratesi bring a personal insight into the yachting industry to the production of timeless, elegant linens. “Offshore is an inhospitable world of wind, waves, rain and ultraviolet light,” designer Guillaume Rolland once said, “so the belly of a boat must be a nest — a place where one escapes all that.” Rolland heads the yacht division of the eponymous company founded by fellow Frenchman Christian Liaigre in 1987. He has been working with Liaigre since 2001, initially involved in all projects within the company, which is known for subtly luxurious furniture and interiors that make an elegant, understated use of natural materials, such as raw linens and woods weathered by the sea. As the yacht interiors side of the business took off, Rolland, a lifelong sailor who regularly competes in regattas around the world, took charge of the company’s yacht design studio. Projects he has undertaken include Vertigo, a 67 metre sailing yacht that was awarded Sailing Yacht of the Year at the 2012 World Superyacht Awards. With Vertigo, the design studio worked closely with the boat builders from the start, so that the interior was created along with the yacht, rather than just made to fit into it. The design includes glass panels and doors in the cockpit areas that can be made transparent or opaque at the flick of a switch. So escaping the elements — or even your fellow guests — is simple. Architect, industrial designer, artist and publisher, Gio Ponti was a giant of 20th century Italian design. During his long and fruitful career, Ponti developed an all-encompassing approach to his work, creating not just the structure of a building but also conceiving its entire interior scheme, from furnishings to lighting fixtures. His finest achievements include the Pirelli Tower — Milan’s first modern skyscraper — and the distinctive, castle-like Denver Art Museum. 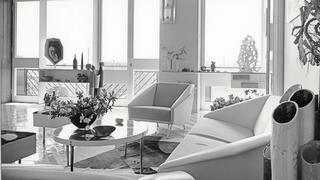 One of Ponti’s most enduringly popular designs, however, is something altogether closer to home. The 1957 Via Dezza chair is an angular, upholstered armchair built on a linear metal frame. It was created by Ponti along with the entire furnishings of his self-designed Milan home (pictured) from which it takes its name. For those coveting a slice of Ponti’s creative genius, the armchair and select Via Dezza gems have been reissued in an exclusive collection by Molteni&C. One of Italy’s most renowned furniture manufacturers, Molteni is a natural platform to preserve and present Ponti’s talent. The company works with some of the world’s best designers on a variety of high-end real estate and marine projects. The Via Dezza chair adaptation, Armchair D.153.1, stays true to the original, is available in two Ponti-designed fabrics and is the perfect place to kick back and enjoy the waves. Italians can turn everyday objects into works of art and this is certainly true of the exquisite porcelain from Richard Ginori 1735. Delicate, hand-decorated patterns and illustrations of 19th century botany and rare birds adorn its charming collections, which will turn any on-board dining experience into an event to be remembered. 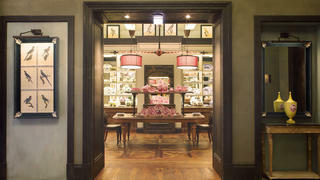 The distinguished porcelain company was founded nearly 300 years ago in the foothills of Monte Morello near Florence. Over the course of its illustrious history, it has collaborated with leading Italian architects and designers including Gio Ponti and was recently acquired by Gucci. As one might guess from a furniture company with a name that evokes adventure, Summit’s speciality is extremely high-quality furniture specifically made for the outdoors. Crafted in sustainable, plantation-grown teak, which is water-resistant and strong, its chairs, tables and loungers are as ideal for the deck of a superyacht as for a domestic garden. The Californian firm collaborates with leading designers like Linley, with which it created a clean-lined, curved collection (lounge chair, above, €5,487), inspired by the interiors of the top classic yachts. It is made to be stacked or stowed — perfect for sailing purposes. “All projects start as dreams in the mind of an owner.” This is the philosophy of the Italian company that has designed the interiors of some of the world’s finest superyachts and most luxurious hotel suites and palatial private homes. FM Architettura d’Interni was founded by the architect Francesca Muzio and the interior designer Maria Silvia Orlandini in 2009, and in a few short years, has amassed an incredibly impressive portfolio of clients in all corners of the world. The company made its name by creating yacht interiors that are effortlessly elegant, yet at the same time have an inviting, natural feel. As its reputation grew, it was commissioned for high-profile interior design projects such as the luxurious Presidential Suite of Shangri-La at The Shard, London - along with other Shangri-La properties in China and the Philippines — as well as premium residential properties stretching from Bahrain to Beverly Hills. Despite the long list of people lining up to benefit from their expertise, Muzio and Orlandini never forget the views of the most important person in any project: the owner. Whether the commission is for a yacht or a penthouse, the pair consult at length with the client so his or her “uniquely personal wishes” can be fully reflected in the interior that FM Architettura d’Interni will go on to create. Designer Giorgio Armani will shortly open a four-storey Armani/Casa flagship boutique in Milan — the new home of his interiors collection, which launched in 2000. This season, as previously, he has once more looked to the natural world for inspiration. 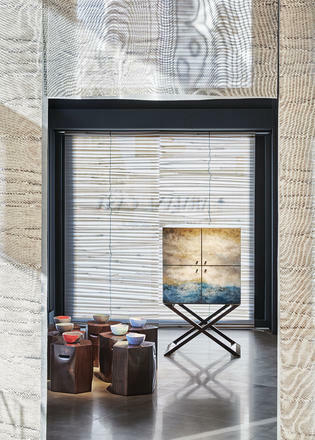 As well as the 50-piece numbered and signed limited-edition bar cabinet, “Club”, which features on its doors a hand-lacquered ocean motif inspired by Japanese artist Hokusai’s The Great Wave, there is a screen featuring a Japanese-style landscape print. The same image adorns an upholstered chaise longue, and there are blankets decorated with images of lions and leopards, leopard stone marquetry, and a crystal-encrusted flower to elevate a table setting. “All my designs for the home collection are intended to promote an atmosphere of calm relaxation,” says Armani. “One way to do this is to reference Mother Nature, as the natural world is nurturing and beautiful.” Those who enjoy life at sea will certainly appreciate that sentiment. 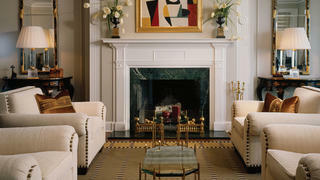 Tai Ping has been making and supplying one-of-a-kind carpets to discerning clients all over the world for 50 years. Its first-ever commission, from the Grauman’s Theatre in Los Angeles, was for a carpet so large it needed to be constructed in a tent erected outside the factory. Today, the Hong Kong-headquartered company has five distinct divisions and showrooms across Europe, North America and Asia. New for 2016 is a collaboration with award-winning florist Jeff Leatham. The artistic director at Paris’s Four Seasons Hotel Georges V, Leatham is famed for creating stunning floral installations and bouquets for everyone from the Dalai Lama to Oprah Winfrey. The Bloom collection comprises 14 handmade wool-and-silk rugs that were inspired by geometric shapes and the organic forms of solid, liquid and vapour. Each of the custom-made designs explodes with colour, with even Leatham admitting to feeling “chills” when he saw them realised for the first time. William Morris famously said one should have nothing in the house one “doesn’t know to be useful or believe to be beautiful”. Someone who knows more than most about exquisite fine art for your superyacht is antique dealer and gallery owner Adrian Sassoon. For more than two decades, Sassoon has been honing his craft as a specialist in contemporary decorative art and French 18th century Vincenne and Sèvres porcelain. 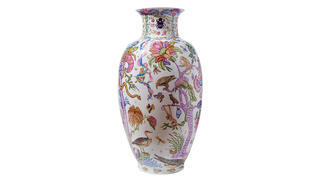 Whether the delightful, conch-like sculptures of Shochiku Tanabe, from Japan’s foremost bamboo-art family, or the fine, Chinese-style porcelain vases by the Australian ceramicist Robin Best (above, €71,100), a piece from Sassoon is both a shrewd investment and a marker of taste. 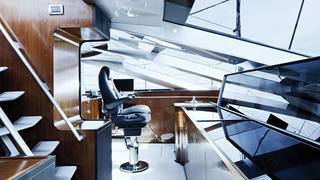 Stefano Ricci’s Luxury Yacht Division designs bespoke interiors for some of the most sophisticated vessels in the world. Catering to an elite clientele, its projects are characterised by an elegant finish and sumptuous details, and include the likes of glazed cabinets, handwoven textiles and intricate ornaments with calligraphic patterns. Ricci’s furniture is traditional and ornate, and it’s not immediately obvious that it has been developed for a yacht environment. A recent collaboration with Florence-based designer Luca Dini saw the interior of a mammoth 70 metre superyacht refitted to an almost palatial standard. Utilising the best materials, as is the company’s signature, the interior was furnished in Californian briarwood and Tuscan marble. Its renowned Home line is similarly plush, represents the finest Italian craftsmanship and has a 100 per cent Made in Italy brief. Nowhere is this clearer than in its recently updated porcelain lines, which blur the boundaries between art and utility. 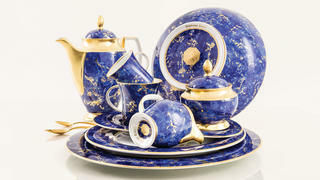 The Lapis Lazuli line gives a contemporary twist to porcelain, featuring deep blue hues and playing up the opulence historically associated with blue by coupling it with 24ct gold detailing. Back in 2012, when Frank Pollaro was commissioned to create a desk for Brad Pitt’s château in the South of France, little did he know a new partnership was about to be forged. On delivering the piece, he noticed the actor’s sketchbook was full of furniture sketches and suggested they make them a reality. 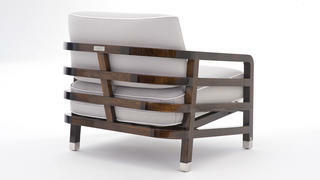 The Pitt-Pollaro Collection is designed by Pitt and crafted by Pollaro. 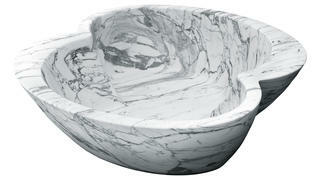 It demonstrates the attention to detail the likes of Robert De Niro have sought out and majors in art deco-inspired pieces in opulent materials, such as the decadent Statuario Venato marble Toi et Moi bath (above, in a limited edition of three), which can accommodate two well-heeled people. Should you require further credentials, Pollaro has designed yacht furniture for tech giant Larry Ellison, and Pitt-Pollaro was one to the top luxury and interiors brands at the Monaco Yacht Show. 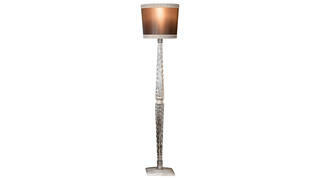 Bohemian crystal has been revered for centuries for its high quality and ground-breaking designs. Founded in 2007 to build on this tradition, Lasvit combines artisanal skill with cutting-edge technology to create modern light-sculptures and art installations. One of its new bespoke creations, Cassia (above) by Petra Krausová offers a flexible approach to interior design. 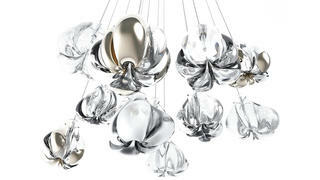 Intended to resemble flowers gently swaying in the wind, its low-hanging, hand-blown glass pendants can either be suspended as a single entity or dispersed individually around a room, to equally striking effect. Lasvit’s 2016 line also includes the aptly named Candy Collection — a range of table lamps and chandeliers resplendent in playful rainbow stripes – that were designed in collaboration with brothers Fernando and Humberto Campana. Baldi, founded in Florence in 1867, is dedicated to continuing the rich artistic heritage and tradition of craft that has long been integral to the city. The one-of-a-kind creations of its interior-design arm, Casa Baldi, are imbued with classic Italian style and hand-crafted using the very latest techniques. 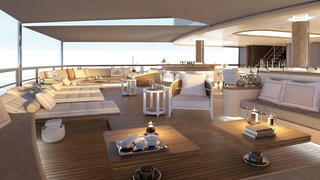 Its first foray into nautical design saw superyacht Alexander Again transformed into a spectacular floating palace. 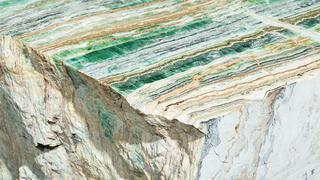 Stunning stone doesn’t begin and end with marble. Solid Nature sources the finest alternatives from across the world for the ultimate in bespoke floors and walls. Its semi-precious line is perhaps the most extraordinary, comprising as it does those not usually available in large slabs — rose quartz, lapis lazuli, amethyst, malachite and petrified wood, among others. Onyx options, meanwhile, range from a honey hue with white veins to caramel clouds and speckled Maldivian azure, while matte travertine comes in neutral taupe, rusty ochre and gold. If you simply must have marble, there’s an array of colours, from gold-streaked smoky-grey Portoro to yellow moonstone and even zebra stripes. 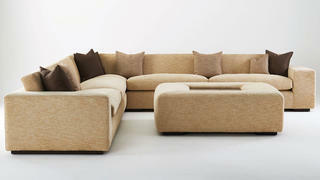 Dudgeon creates bespoke sofas for the luxury residential market. Its relationship with the luxury boat industry was forged in 1992, when a yacht interior designer called into the Knightsbridge showroom on the hunt for Chesterfield sofas. Since then, its team of skilled British craftspeople has gone on to make upholstered sofas and chairs for 86 superyachts, including award-winners such as the 63 metre Benetti11.11. Championing an aristocratic flair in its furniture, Visionnaire works closely with key players in the yachting industry, and draws on high-end fashion and culture for reference. However, while its history is steeped in Italian craftsmanship techniques, the company is also surprisingly innovative. It has continually invested in sustainable materials, modernising many of its product lines accordingly. Its latest development comes in the form of an “eco-leather” called Materiko, which was the catalyst for a range of outdoor designs, including the Sunny chair (pictured) by Alessandro La Spada. Materiko’s hard-wearing characteristics make it a prime choice for nautical environments as it is both impermeable and UV-resistant.